Since the announcement last month that the U.S. Government planned to cut $200 million in aid to UNRWA, the United Nations’ agency dedicated to providing humanitarian aid to Palestinian refugees, and the news the following week of $25 million in cuts in direct aid to support hospitals affiliated with the East Jerusalem Hospital Network, we have been tracking the implications of those cuts on the institutions of the Episcopal Diocese of Jerusalem, particularly Al Ahli Hospital in Gaza City and the Princess Basma Center for Disabled Children in East Jerusalem. 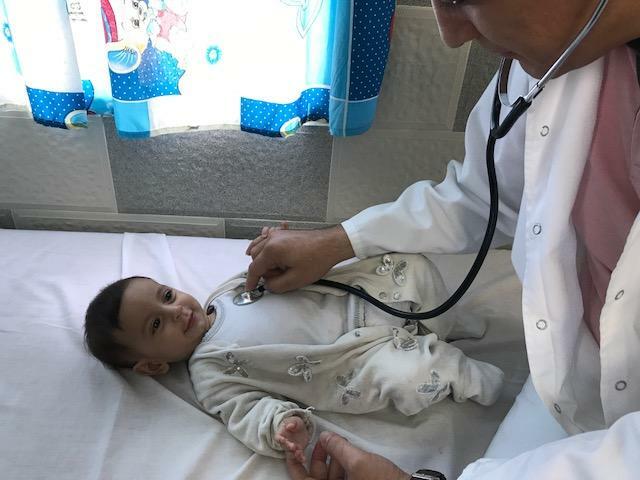 Your gifts provide critical support to the humanitarian organizations that serve Palestinians in need of medical care, rehabilitative services, and education. All of you who have visited the Diocese of Jerusalem provide people hope with your presence. Thank you for all you do. Please consider helping again with a recurring gift of any size. Your support is needed now more than ever. “If we don't act immediately and shift gears to find other means of support and subsidy to our affected diocesan institutions, I can't perceive how we can sustain and support them with the limited resources we have. I am very much concerned and afraid that cutting off all American assistance, mostly in humanitarian aid, has hobbled the aid agencies that receive the funds, and more consequently, crippled the lives of Palestinians who continue to live in dire need and have fewer employment prospects now more than ever. Read the Archbishop's letter in full at www.afedj.org . 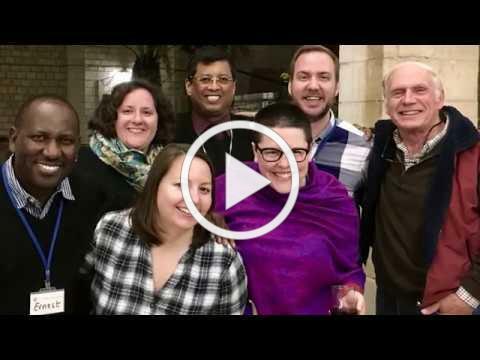 In early October, 12 AFEDJ trustees from across the U.S. will shake off their jet lag and converge on the guesthouse of St. George’s Cathedral in East Jerusalem. They will spend the next ten days visiting 11 schools, hospitals, and centers for children with disabilities in Palestine, Israel, and Jordan. Cotty Peabody, a trustee from Arizona, said, in advance of the trip, “We make the effort to travel at our own expense to visit the people we serve because this becomes a shared experience to which we, as trustees, can all relate. 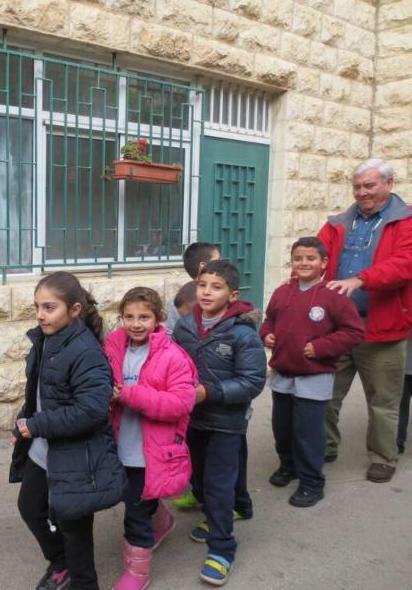 “When we talk about Princess Basma Center in East Jerusalem or Christ School in Nazareth, we can all remember the buildings and the classrooms but - most of all - the people who welcomed us and shared their gratitude for the support donors to AFEDJ provide." The trustees will visit organizations in East Jerusalem, Nablus and Ramallah on the West Bank, Nazareth in Israel, as well as Zarka, Marka, Jofeh, and Salt in Jordan. A smaller group of trustees will visit the Al Ahli Hospital in Gaza. Join us for the return of AFEDJ Trustee Barbara Drake Boehm, the Paul and Jill Ruddock Senior Curator for The Cloisters of The Metropolitan Museum of Art New York, to discover this on site discovery, in depth reflection and faith deepening journey through the eyes of an artist. Our Women of the Bible Course returns for a fifth time, dedicated to the ancient stories of women that tell of struggle, joy, and tragedy; but at the same time convey the compassion and love for God that we today experience in life. 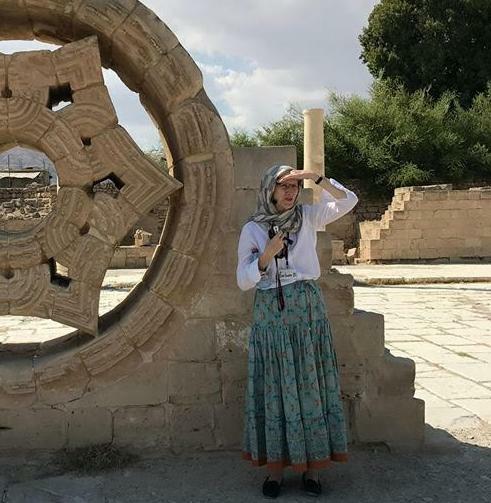 We will begin with women’s stories in Jerusalem and travel to the Galilee, Bethlehem, Jericho, the ancient city of Jaffa, and many more holy sites. The course is a spiritual retreat where time will be spent in private reflection, journaling, as well as experiencing community fellowship in during our meals and daily worship. For a full list of programs and courses offered at St. George's College, click here . This month St. George's College welcomes the Rev. Richard Sewell as its new dean. Richard comes from the Diocese of Southwark, United Kingdom. He was ordained priest in 2003 and has served in parishes in the Diocese of Southwark throughout his ministry. He trained for ministry at SEITE now St Augustine’s College. He also studied Theology at the University of Birmingham, following which he worked at the Church of Scotland Hospice in Tiberias as a volunteer. For three years he initiated and oversaw an Inter-Faith Project in East London. Most recently, Richard has been for the past seven years the Team Rector of Barnes Team Ministry in south London.